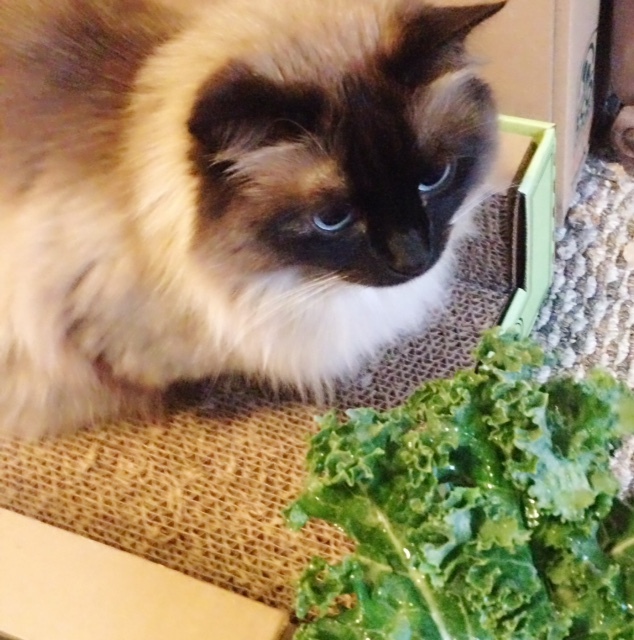 Kale is GROSS. Out of all the veggies in the veggie kingdom, in my humble opinion, it is the worst. It’s tough, bitter, and has a really strong grassy flavor. If someone loves kale, they are most likely a lizard-person from the 1983 television series “V”. But, being that kale is so dang good for you, I began scouring the planet for ways to enjoy it. 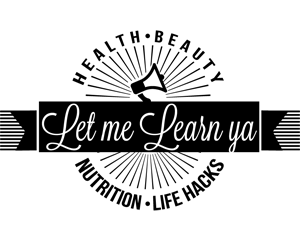 I steamed, blended, and sauteed… I really wanted to fall in love, but I just couldn’t. Kinda like when I went to see Mamma Mia recently and ended up fighting the urge to punch all the cast members in their bad-singing faces. Then, on one sunshiney, blue-skied day, I found an amazing recipe that was soooo good… It somehow tricked me into enjoying RAW kale. Raw, you guys. It’s usually the worst when it’s raw! But this recipe utilizes a magical trick: When raw Kale is massaged, the cellulose structure breaks down and the kale becomes more tender and less bitter. Kinda like my good pal Rhea (Hi Rhea)! Poor, misunderstood kale. He ain’t bitter! He just needs a little lovin’ massage from ya! Okie doke. So you want to wash the kale bunches and rip off the leaves into bite-size pieces. Discard the stems because they are tougher than an Olympic gymnast. See that large white stem in the middle? You don’t wanna eat that. Find a way to dry the leaves if you really want the dressing to stick (I use a salad spinner). 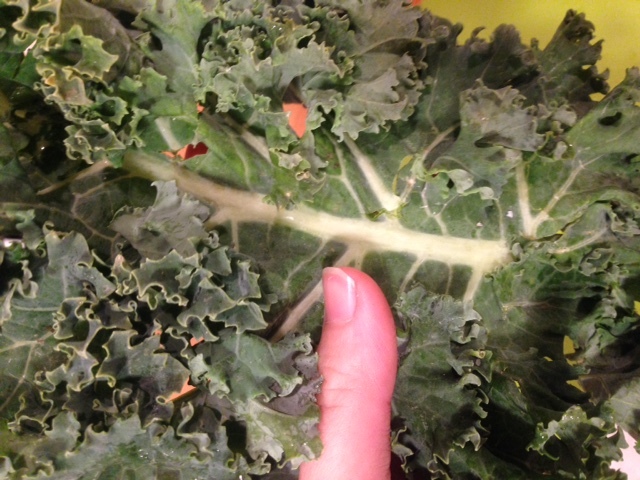 And don’t freak out about the large amount of kale, it will shrink to about half its size when you’re done. 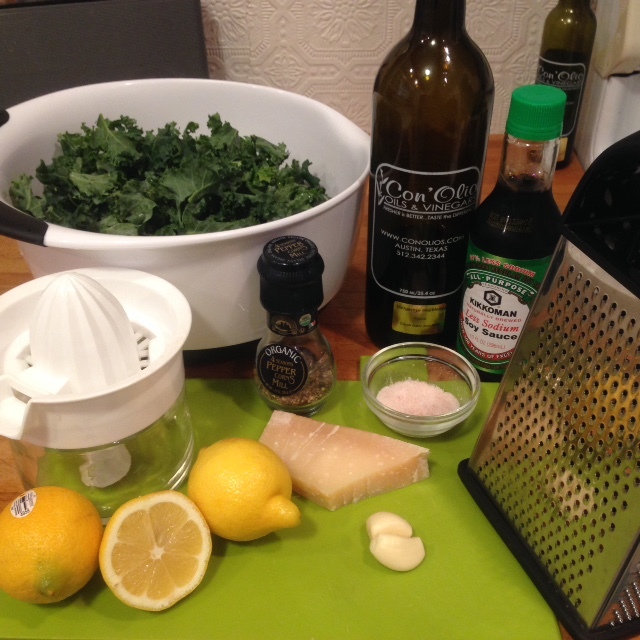 Now add the kale, Parmesan, olive oil, lemon juice, garlic, soy sauce, anchovy, pepper and salt to the kale bits in the large bowl. Light a romantic candle (my kale likes the scent of ylang ylang), put on some Barry White, and start massaging that kale. Really get your hands in there and squeeze/break down the fibers while you’re mixing in all the ingredients. You’ll know the kale is ready when it starts turning a darker, shiny green (almost kinda like seaweed but not really) and the amount in the bowl has shrunk by about half its size. 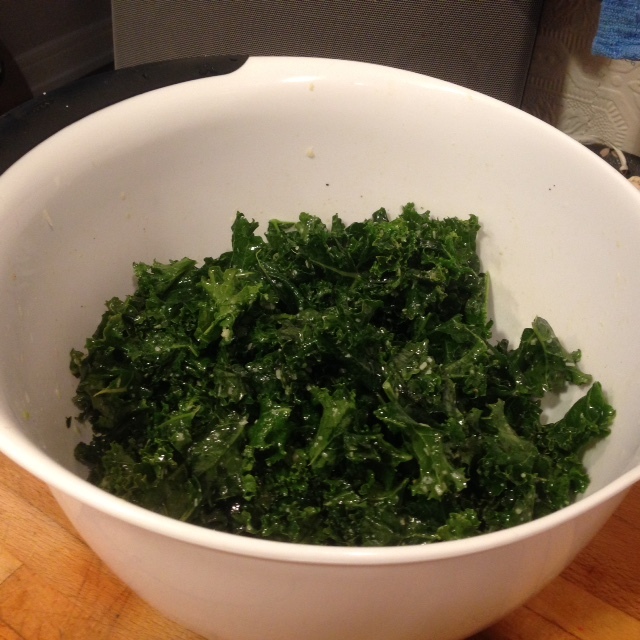 See how the kale used to practically fill the bowl and now it only fills about half of the bowl? And that’s it folks. You’re done. Go ahead… Taste it. SO GOOD. Yes, you can actually enjoy kale without holding your nose and cringing. Ideas on how to eat it! Since this recipe makes a lot of kale, you might not be satisfied with eating it as a side for every meal… So here are some suggestions on how to incorporate it into other foods to mix things up! If the kale salad on its own is too overwhelming, mix in some other greens to mellow the kale flavor such as romaine, spinach, or green-leaf lettuce. Make a dress out of it and call yourself “Lady Kaka”. Then please take pics and send to me. Previous articleBetter Life: Non-toxic Cleaning Products That Actually Work! Next articleThe Alternative Cure for UTIs That Works!